274 pages | 3 B/W Illus. Teaching the Historical Jesus in his Jewish context to students of varied religious backgrounds presents instructors with not only challenges, but also opportunities to sustain interfaith dialogue and foster mutual understanding and respect. This new collection explores these challenges and opportunities, gathering together experiential lessons drawn from teaching Jesus in a wide variety of settings—from the public, secular two- or four-year college, to the Jesuit university, to the Rabbinic school or seminary, to the orthodox, religious Israeli university. 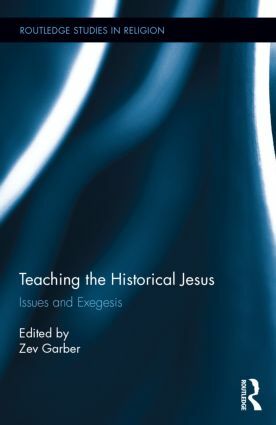 A diverse group of Jewish and Christian scholars reflect on their own classroom experiences and explicates crucial issues for teaching Jesus in a way that encourages students at every level to enter into an encounter with the Hebrew Scriptures and the New Testament without paternalism, parochialism, or prejudice. This volume is a valuable resource for instructors and graduate students interested in an interfaith approach in the classroom, and provides practical case studies for scholars working on Jewish-Christian relations. "In the anthology’s final article, "Was Jesus a Pharisee? And Does it Matter," John Pawlikowski opines that heuristic teaching opens minds, excites learners, and responds to student interests and abilities. Speaking as a teacher of Bible as literature, all of the authors in this collection participate in this tradition, making the essays themselves practical, informative, and inspiring sources for introducing the historical Jesus into religious studies and literary classrooms." -Roberta Sabbath, English Department, University of Nevada, USA. Zev Garber is Emeritus Professor and Chair of Jewish Studies and Philosophy at Los Angeles Valley College. He is the Editor of Shofar and the author of The Jewish Jesus: Revelation, Reflection, Reclamation (2011).